Amazon has the LEGO Friends Heartlake Surf Shop on sale for just $11.99 (regularly $19.99). 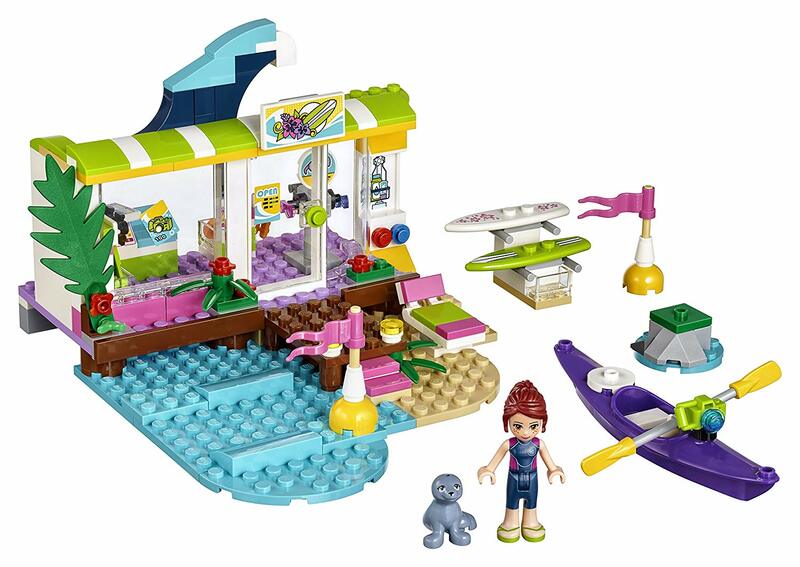 The LEGO Friends Heartlake Surf Shop includes a cash register and all kinds of holiday supplies. Hire a range of watersports equipment, from surfboards, a kayak and paddle to flippers and a waterproof camera. Outside there's a beach area with sun lounger and shower, a jetty with buoys and a rock, which is home to a seal figure. Includes a mini-doll figure.